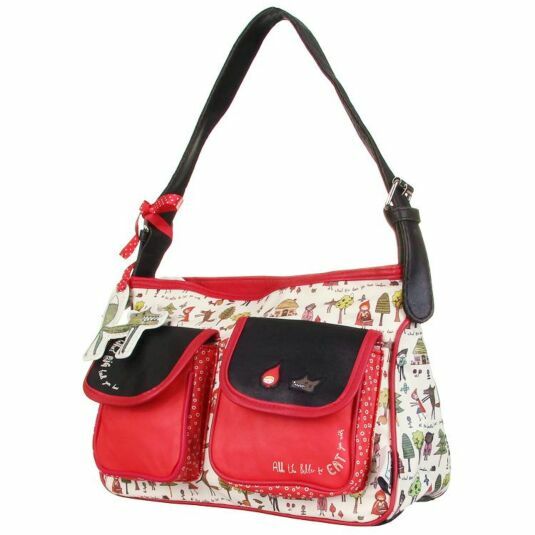 A handbag from the Once Upon A Time range. 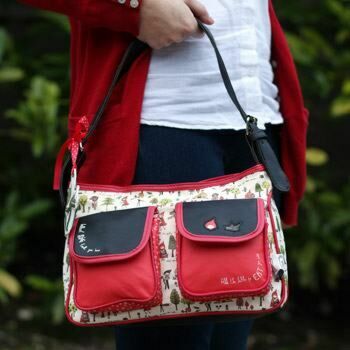 We all know the story of Little Red Riding Hood, and here it comes to life on this beautiful handbag from Disaster Designs. 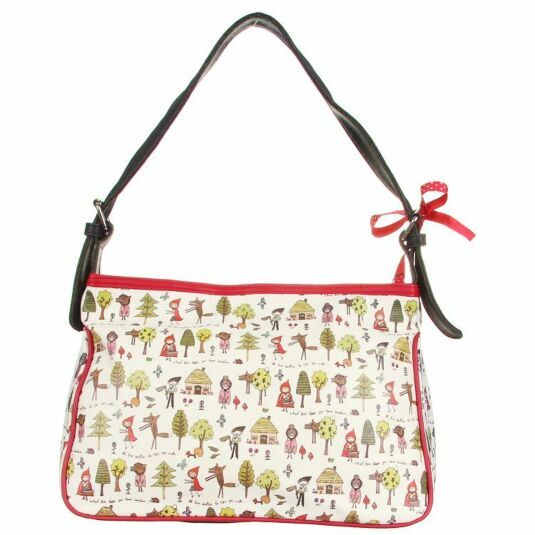 Part of the Once Upon A Time Range, the bag features all the characters from the famous tale, from the hungry wolf to the old grandma. The front of the bag even features the classic quote: "What big teeth you have... All the better to eat you with". 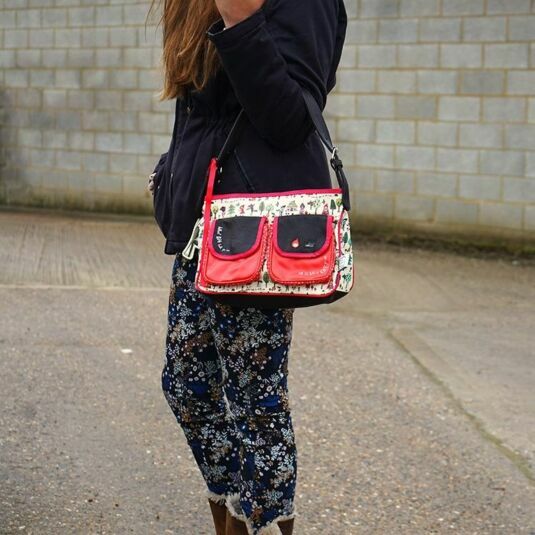 The handbag has everything you need when you're out and about. There are two pockets on the outside for storage, while the inside includes a zipped pocket for anything you need quick and easy access to, and want to keep super safe. 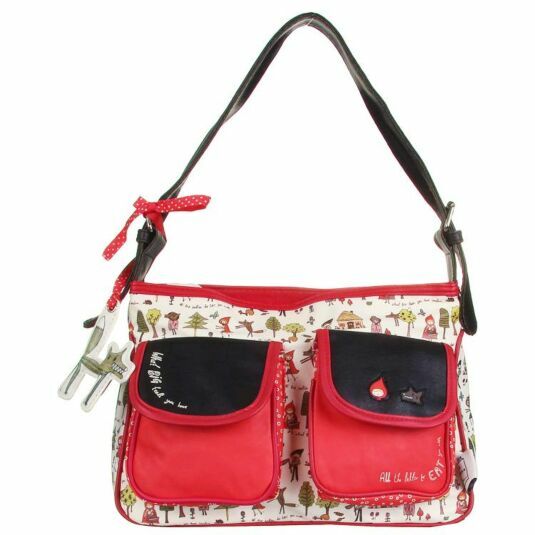 There is even a pocket inside to put you phone in so you don't have to rummage for it every time, and there are adjustable straps. 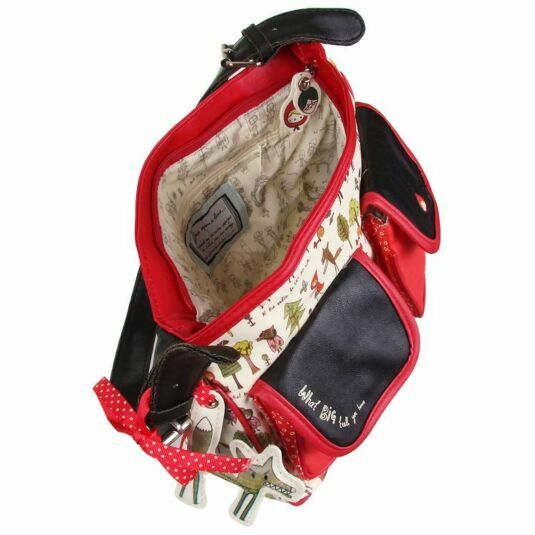 The whole thing zips up securely, ensuring everything is kept safe and sound inside. As the Big Bad Wolf might say, All the better to keep your things in!